Machine Age Coat Stand in the style of Warren McArthur for General Motors Continental or GMC, circa 1930. 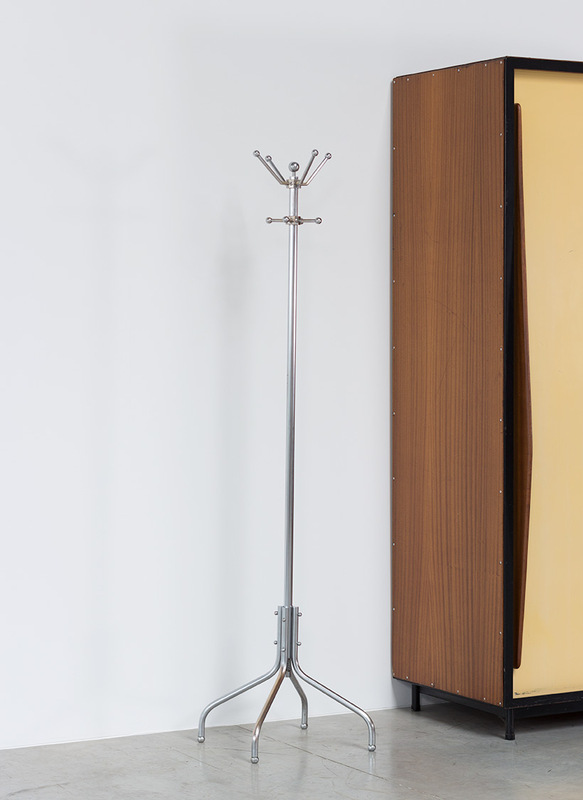 Hat and coat stand, standing on 4 spayed legs with ball fittings as feet. Right up stem with multiple hooks. This coats stand was made for the head office of General Motors Continental in Antwerp Belgium, label 'GMC 6779'. Porte manteau Art Deco dans le style de Warren McArthur pour General Motors Continental sinon GMC, vers 1930. Porte Chapeau et manteau sur quatre jambes avec finition a billes. Tige avec multiples crochets. Porte manteau conçu pour le siège sociaux de General Motors Continental a Anvers, Belgique. Marque avec 'GMC 6779'.